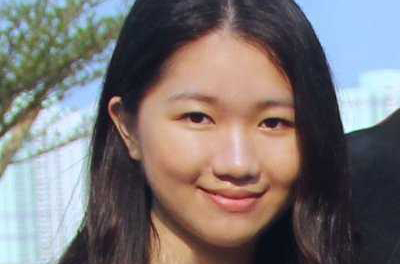 Meet Cassandra Kwok, an ambitious Cass student majoring in Finance, and receipient of the Global Women's Leadership Scholarship. Having spent summers working for three of the world’s largest financial services companies in Hong Kong, and a venture capital firm in London to boot, Cassandra Kwok is the first to acknowledge that she is ambitious. But taking charge and showing assertiveness at work earned her the tag “bossy” — something she takes umbrage at. It is an example of the kind of discrimination faced by women in industries that lack gender diversity, such as finance and banking. That is something Cassandra is passionate about changing. That is a key aim of a women’s leadership programme at Cass Business School, where Cassandra is majoring in Finance. As part of the leadership programme, she received the Global Women’s Leadership Scholarship, which fuels the development of thriving young female leaders and supports them at all stages of their career. The scholarship reduced the financial burden faced by Cassandra, who self-funded her tuition fees by working part-time as a private tutor in London. “Tutoring takes up a lot of time and that hindered my ability to join as many of the activities at Cass as possible, such as speaker sessions,” she says. But the women’s leadership programme provides much more than financial assistance. It holds several events each year featuring inspirational women leaders, as well as training workshops and networking opportunities around the world including in London, New York and Dubai. Cassandra, who counts Facebook executive and activist Sheryl Sandberg as an inspirational figure, says her passion to fight for gender equality stems from her experience at a united world college. Cassandra joined Cass last year with the career aspiration of working in corporate finance and eventually venture capital. “Venture capital is my logical next step, as it focuses on building relationships with bold entrepreneurs and promising start-ups, in the hope of discovering the next revolutionary product or technology, which could make a positive impact on the world,” Cassandra says. Coming to Cass was also logical, as the school has long-standing and strong links with City of London firms. The Cass experience has already proved valuable, as she secured a position at a venture capital firm in London, where she works for half the week during term time. “I believe the brand recognition of Cass helped me secure an interview with the founder,” Cassandra says. Going forward, she plans to continue gaining deal execution experience, and is looking for ways to help other young women to be successful in their careers. “Hopefully one day, a powerful female leader will no longer be deemed inspirational, but simply normal,” Cassandra says.